First whisk the egg whites until stiff. Combine egg yolks and icing sugar and whisk until light and creamy. Fold egg whites into egg yolks, then fold in marscapone. 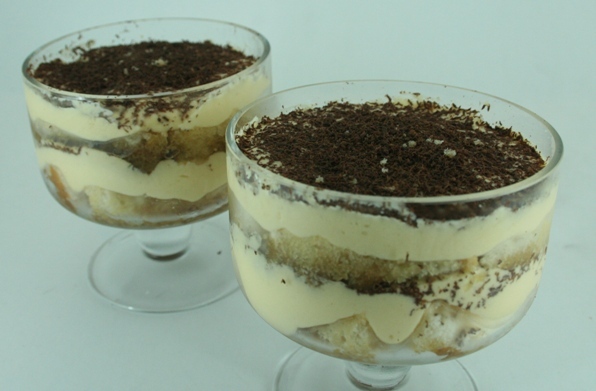 Layer sponge onto bottom of bowl, soak with coffee and Galliano, top with egg and marscapone mixture, grate some dark chocolate over and repeat (I got two layers in each small dish, but you may be able to get more in adifferent dish). Chill for at least 3 hours, or overnight.